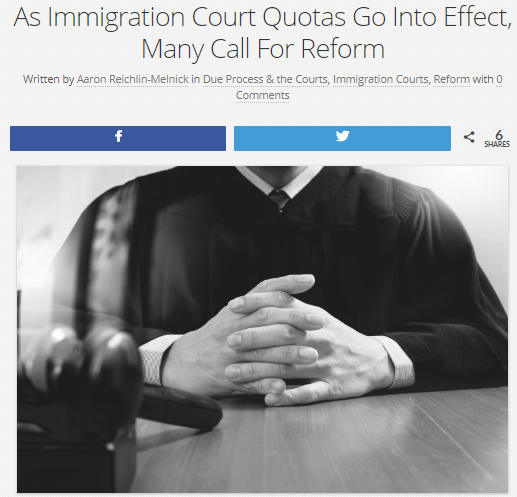 NEWS: Quotas! Yes - "Quotas!" Went Into Effect as Judges are Pressured to Rubber Stamp Deportations! Inseparable couple, Enrique and Harlon were married June 2014. While pursuing their passion of developing affordable homes and revitalizing a community, the two worked towards a green card. After two successful Stay of Deportations and an immigration approved marriage, the couple is being deported! Under Trump, the recent Stay was denied. ICE has requested travel arrangements to the dangers of El Salvador. The couple must plan for the worst. This is their story! On November 28, 2005, Enrique Gonzalez walked across the border to pursue a safe and prosperous life in the U.S. Afraid of gang recruitment in El Salvador and seeking to escape to a safe place with opportunities to work to help himself and his family, after two days of processing and detention, he was taken (by immigration officials) to a Texas bus station where he was left to find his way in what would become his new home, the United States of America. Thirteen years later, with a U.S. Immigration approved marriage to a citizen, Enrique is being deported. On October 1, immigration judges around the country will arrive at work and face a daunting new task; complete 700 removal cases in the next year or risk official sanction. The new court quotas and performance metrics were imposed as part of Attorney General Jeff Sessions' ongoing push to reduce immigration court backlogs. ACTION ALERT! SIGN OUR PETITION! I just signed a petition to Governor Eric Holcomb, The United States House of Representatives, President Donald Trump, The United States Senate, The Indiana State House, and The Indiana State Senate: Stop the unjust deportation of Luis Enrique Gonzalez-Ortiz. http://www.deportinglove.com/2018/05/in-news-local-station-shares-our-story.html Stop tearing apart families with unjust deportations.